Tell your family & friends! 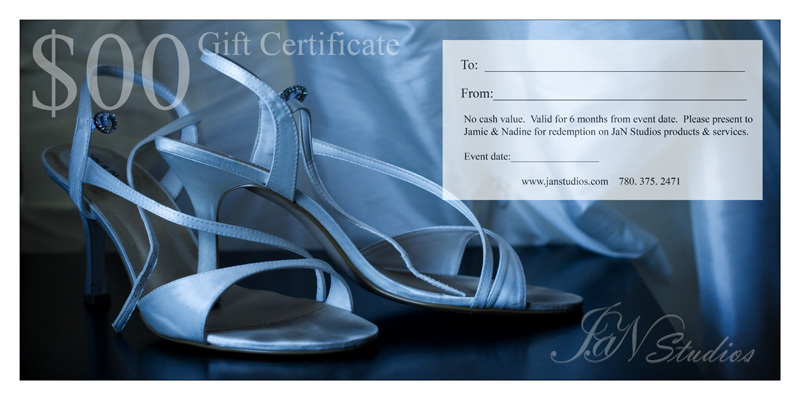 Gift certificates are now available through JaN Studios! Available in $25.00 denominations. If you want to purchase these you can email us directly at info@janstudios.com or use the client proofing section of our website by using “gift” as the password and then clicking on the little shopping cart once the certificate is a “favorite”. A perfect afternoon with two people made for each other. Loved playing in the leaves with you guys. Can’t wait until next summer. Thank you guys for an amazing day. We had way too much fun! We could not help but be drawn by your absolute love and passion for each other. Have a fantastic honeymoon.